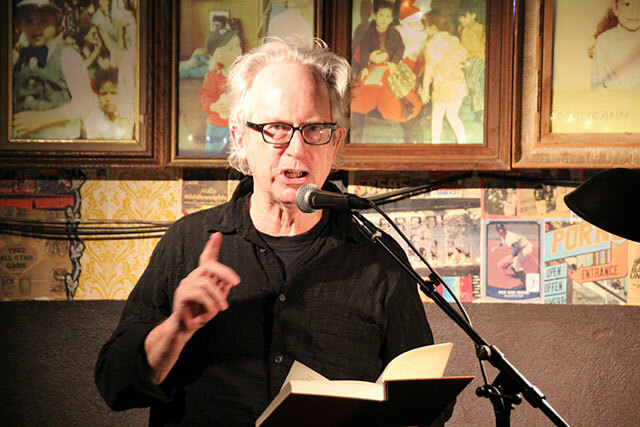 The Franklin Park Reading Series “Novel Night” featured five readers from Peter Carey, the two-time Booker Prize-winning Australian novelist and the executive director of the Hunter College MFA program, to Kashana Cauley, a writer with stories in Tin House and Esquire whose debut novel has yet to be released. Cauley gave the evening’s opening reading, and took the podium with a relaxed confidence. She explained that her forthcoming novel, centered around a fictional indie rock band called “M28,” was inspired by her experience sending contract termination letters to rock bands while employed by a major record label. Cauley then presented an account of M28’s inner turmoil from the perspective of a band member, detailing the struggle around naming M28’s next album, egoist tensions between the band’s members, and the tenuous relationship between the band and its label. Cauley’s deft take on the world of failed rock stars drew laughs from the audience, and her novel is definitely one to look out for. Up next: Mark Doten, esteemed editor at Soho Press, whose debut novel The Infernal, a multi-perspective narrative centered around the War in Iraq, has received much critical acclaim. Doten adjusted the mic to suit his height with practiced hands, and proceeded to read a passage written from the perspective of an Iraq War veteran suffering from symptoms of PTSD. The selection toed a fine line between comedy and horror, drawing uproarious laughter at certain points and casting an unnerving pall at others. The author Joe Hill is famous for saying that comedy and horror rely upon the same beat pattern, and Doten artfully wove between the two while addressing the trauma of the War in Iraq with skill and grace. 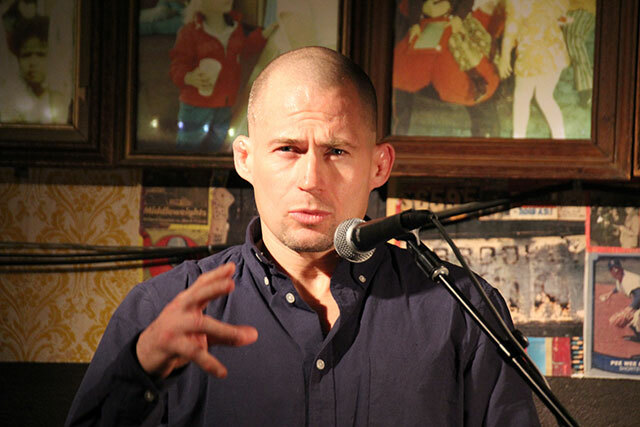 Doten was followed by Atticus Lish, a debut novelist who served in the U.S. Marine Corps for a year and half. Lish delivered an excerpt from his widely acclaimed novel Preparation for the Next Life with protracted conviction and rawness. Where Doten perfectly simulated the voice of a traumatized Iraq War veteran with his exceptional craft and style, Lish appeared to us as the person Doten’s character was based on, elucidating his thoughts in haunting, measured prose. Lish’s writing was clean and concise (which might please his father to no end), but carried a rare depth and emotionality. If his reading of the novel is any indication, Preparation for the Next Life lives up to the hype it has received thus far. After a fifteen-minute break, Laura van den Berg took the stage, reading from her forthcoming debut novel Find Me. Van den Berg is the author of two well-received collections of short fiction — her collection What the World Will Look Like When All the Water Leaves Us ended up on The Story Prize longlist and the Frank O’Connor International Short Story Award shortlist. Van den Berg’s reading perfectly captured the oddities of a supermarket and the subtle tragedies of drug abuse, in a section she explained was backstory for her protagonist. Find Me is a dystopian nightmare critics have compared to the likes of Margaret Atwood’s The Handmaid’s Tale and Kazuo Ishiguro’s Never Let Me Go. Last, but most certainly not least, was Peter Carey. He was the man of the hour, and he knew it: Carey stepped to the podium and informed the audience that a portion of his newest novel, Amnesia, centers around the CIA’s overthrow of the Australian government in the early 1970s. 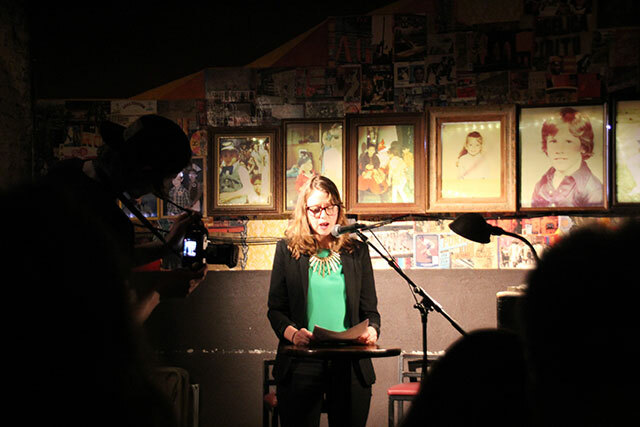 Carey read to the dimly lit, craft beer-drinking patrons at Franklin Park as though reading to a smokey, bow-tied literary society, conferring upon us a world so unlike our own that we could not think of it as anything other than familiar. 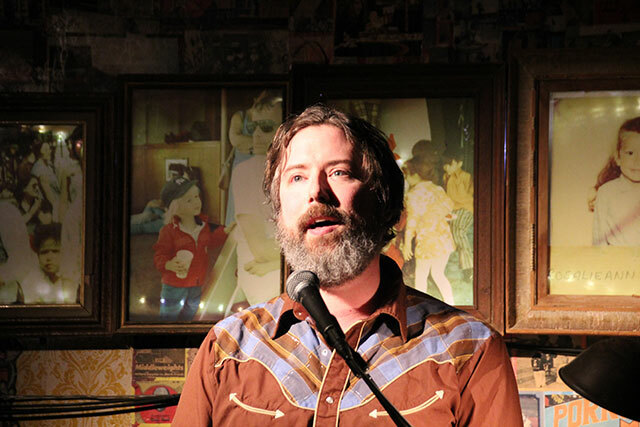 Place Carey at any point in history in a room of English-speaking literary individuals, and he would connect with his audience. The Guardian’s Luke Harding described Amnesia as “the story of WikiLeaks as if transmogrified by Dickens and turned into a thrilling fable for our post-Edward Snowden era.” Let that one sink in for a minute. Penina Roth, Brooklyn’s most dedicated literary citizen, yet again brought the patrons of the Franklin Park Reading Series a night of unforgettable literature. 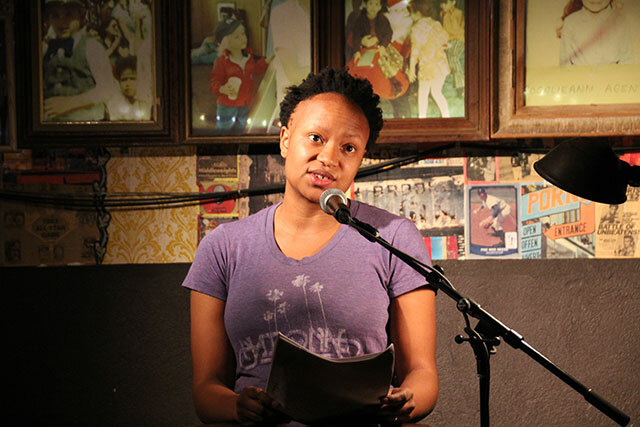 The Franklin Park Reading Series has been recommended by The New York Times, The New Yorker, New York Magazine, and The Village Voice among others, and has featured the likes of Colson Whitehead, Jennifer Egan, Rick Moody, Edwidge Danticat, Ben Marcus, Roxane Gay, Teju Cole, and Brian Evenson. The series takes place on the second Monday of every month at Franklin Park in Crown Heights (618 St. Johns Place, Brooklyn). The next reading is Monday, March 9 and features Lev Grossman, James Hannaham, Matt Sumell, Sarah Gerard, Jim Ruland, and Michele Filgate.